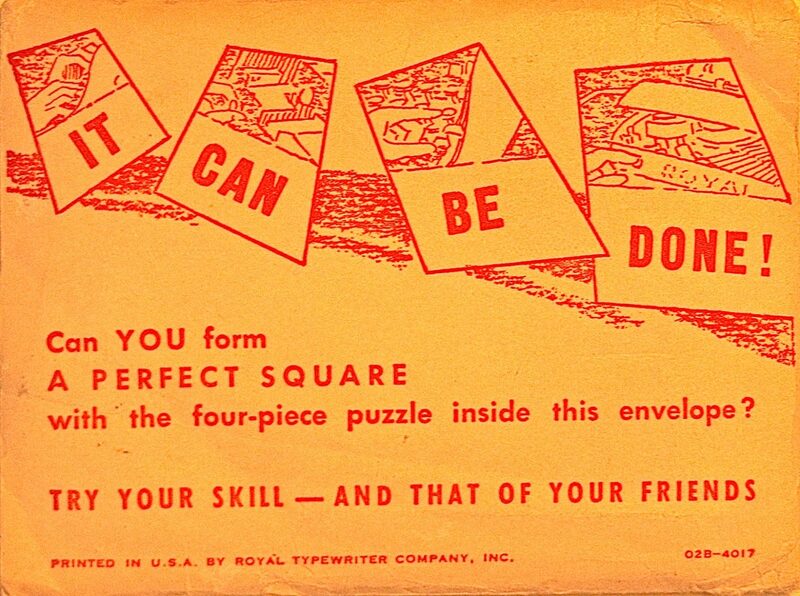 There are 2 Puzzles here: “It Can Be Done!” a 4 piece puzzle from the Royal Typewriter Co., Inc. The second puzzle has nothing to do with typewriters but, I thought I would add it here. It is called “Ride’em Cowboys!” a 3 piece puzzle.